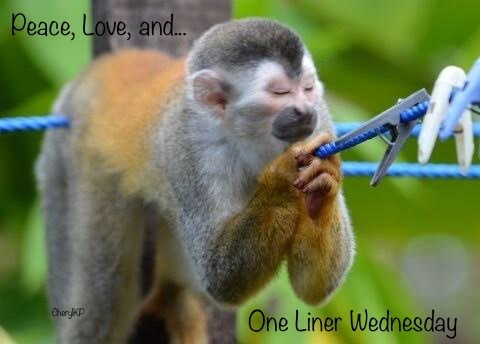 Linda hosts our One Liner Wednesday posts. Check out her blog to see who else is participating this week. Yes! Question everything. Just today we were asked to provide more heathy debate. Years of being conditioned to be “polite” catches up. Speak up and ask those questions. We will all be better for it. So true. Even now in all my mouthiness I have to fight the impulse to smooth things over sometimes. The message runs deep. Yet there’s *still* the “seen and not heard” crowd. George Carlin not only made us laugh our butts off, he made us think!